I really liked it. At first you have to get used to the inertia and the "foot" position, I fell many times because I thought I was on the platform but I was not. After that, you get to know the level and you understand that you can combo the folders. In the end I managed to get the (I believe) top rank my collecting all the folders in one combo, and had fun while doing it! 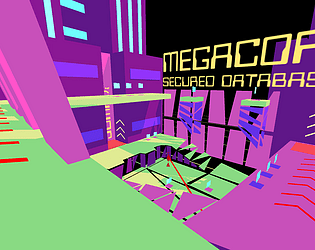 The graphics are nice and the level design gives the player some good freedom of action with its multiple paths. I loved the visuals so much! wanted more games looking like this!